If the second season has just come out and it's even better than the first one. There's such a diversity of characters, of situations. And the actors are all very good, the two younger ones are still learning, I think, but still, not at all bad. I'm completly obcessed with this show and I'm hoping will get to have many, many seasons, since it is such a rich story. We've never had much about the mutants on Marvel and this is a fresh start on a storyline that hasn't been having the best of lucks in its adaptations. 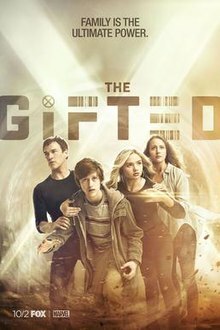 So, if you're a fan of Marvel, super-heroes, mutants, and amazingly written characters with super powers, go give this show a try and let me know your thoughts in the comments!